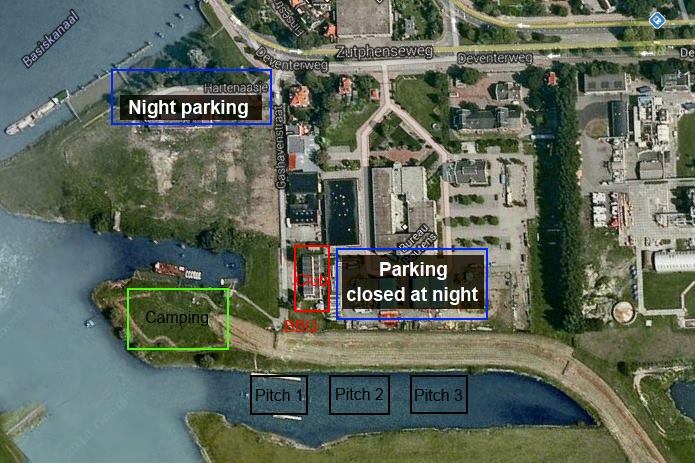 The tournament will be played in a harbour, connected to the river IJssel, in the direct vicinity of the clubhouse of the Deventer Canoe Club. Camping will be possible on the fields at the river shore.In the clubhouse food and drinks will be available throughout the weekend. Barbecue and breakfast will be served in the clubhouse yard, in case of bad weather a big tent will provide shelter. At night there will be drinks and snacks available in the clubhouse.